Clean Energy Economy for the Region’s (CLEER) now has 25 new additions to its Energy Navigator. The additions are buildings belonging to Colorado Mountain College. The Energy Navigator is quite versatile and is capable of displaying online the college’s annual energy usage, as well as energy consumption every fifteen minutes. Other institutions on the Colorado Energy Navigator include Alpine Bank and Summit School District. The Buena Vista Campus and Glenwood Springs administrative offices are the only buildings owned by the college that aren’t currently being tracked by the Energy Navigator. However, the college intends to have the Energy Navigator fully operational across all the campuses by Spring 2014. The Colorado Mountain College is hoping that the Energy Navigator will heighten the awareness of energy consumption and conservation. The college also hosts energy competitions across campuses and the energy navigator will only assist in making competitions more interesting and fun. Plans are afoot to install touch screen computer kiosks to encourage interaction with the Energy Navigator. A federal plan to pay companies and individuals for reducing their use of electricity was struck down last Friday in a United States appeals court. The court decision is considered a victory for utility companies, which argued that the plan would discourage general investment in power plants. The federal regulator’s plan involved a rule to encourage conservation of electricity by paying smart-grid companies (such as Comverge Inc.) and consumers (such as Alcoa Inc.) for using less electricity. Under this rule, individuals and organizations that cut back in their own use of electricity when utility prices and demand rose were paid similarly to generators that produced electricity. The majority of three judges on the panel in the U.S. Court of Appeals ruled that this rule did indeed go too far in infringing upon a state’s right to regulate the sale and retail of power within the state. This case represents a significant trend: organizations and individuals in the power production industry view energy conservation as a threat to their business. The practice known as demand response is a technique in electricity market places such as Texas. Texas electricity providers have struggled in recent years to keep up with demand for electricity in the state. A strong demand response program in the state have help about power shortages in recent years. Powerhouse microprocessor manufacturer Intel is acting to get a significant piece of the $5 billion smart-chip market involved in monitoring power grids and saving energy through balancing supply and consumption demands. Intel’s interests are twofold: the increasing demand in the smart-chip industry and the need for the company to sell more microprocessors. Germany, France, and the United Kingdom are all currently pursuing renewable generation as a means to meet climate change demands over the next decade. Hannes Schwaderer, Intel’s director of energy, stated “It’s not a market where Intel is operating in isolation, there is a lot of competition out there.” Other companies directly in competition with Intel are Cisco and IBM, both who have a significant industry presence. The future of smart-chips will depend much on the willingness of industrial nations to meet the International Energy Agency goal of a $38 trillion investment to meet the projected increasing demand. 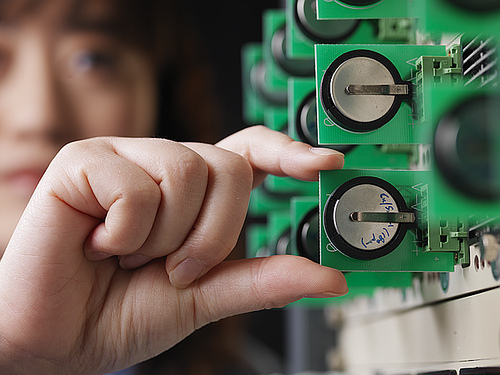 Electricity providers are increasingly looking toward smart technology to manage their power delivery systems. Up until recently, the idea of a prepaid electricity service has been a novelty held by a small number of utilities in the United States. Lately however, this prepaid concept has begun to pick up momentum as large cellular companies try to hop onto the rapidly growing market. AT&T’s lead project manager states that the nearly one third of consumers on a prepay mobile plan cannot be ignored, which contrasts with the smaller than 1% total of electricity consumers that are using a prepaid plan. A study done by AT&T shows that a significant one third of utilities that were surveyed would be highly likely to implement a prepaid system if the transition was possible with little to no cost. The rapid adoption of smart meters in places like Texas will provide the necessary infrastructure for the growth of prepaid plans. Market growth for smart grids in China is set to be about 20% to 2020 according to research and analysis done recently. One of the main factors behind this is China’s structured plan for construction of these grids, however the increased risk of cyber attacks could pose a threat to the eventual implementation of these structures. Our current electrical grids have served us well since they were first established over 100 years ago. They were designed in a very effective way to adhere to the needs of households and businesses that required some light electrical use for lights, radios and other small devices. However, our world is becoming more and more reliant on electricity for our various technological devices. Because of this, the average household now uses a lot more energy than it used to in the decades of the past, and we’re requiring more energy every day. Our current grids simply aren’t designed well enough for our current energy needs. That is why the Smart Grid was created as a replacement for our current grid system. One of the main negatives to our current grid system is that it only allows for one-way communication. The electric companies send out the electricity and the electric system within the customer’s home or business accepts the electricity. The Smart Grid allows for two-way communication, which allows the electric company to gain valuable feedback about the entire grid. It also has several other programs and devices which allow it to more effectively handle electrical management and distribution. 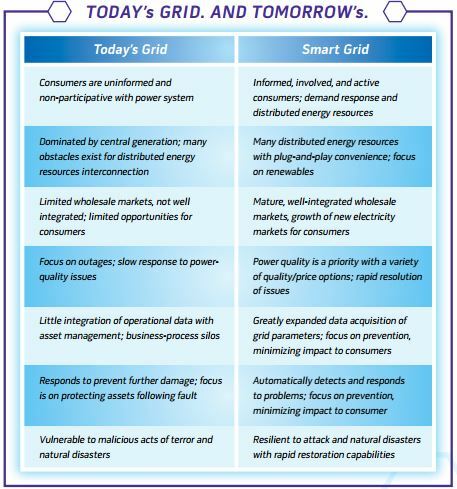 What are the Benefits of Using a Smart Grid System? With the information collected using the Smart Grid system, electric companies can be more efficient with their energy transmissions. This makes Smart Grid a greener option as opposed to our current grid system. Smart Grid is also more easily adaptable to alternative energy sources and customer-generated electricity through devices such as windmills. Since the electric companies will be working much more efficiently with lower management and operation costs, the rates for customers will likely be lower than what they are paying now. One of the best benefits to Smart Grid technology is that electric companies will be able to more effectively deal with power outages due to bad weather, accidents or other incidents. The Smart Grid technology allows them to reroute electricity to other terminals easily, find broken lines more easily, isolate blackouts and restore power faster. Customers can also enjoy other benefits of the Smart Grid system such as the Smart Meters, which allow customers to monitor their electricity use and how much they currently owe for their usage. In the event of price changes, the meters will be quickly altered to adhere to the new pricing system. 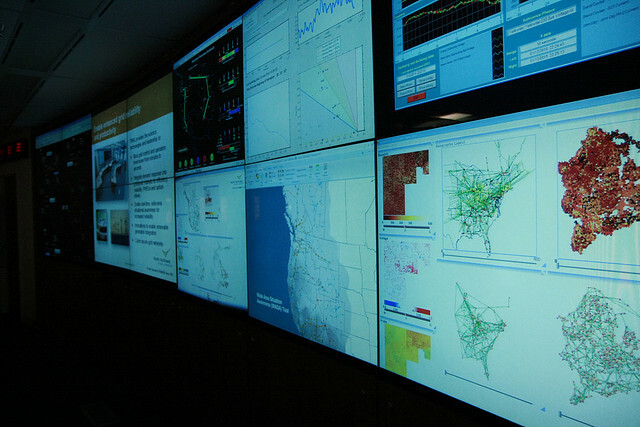 Why is the Smart Grid Important for Our Energy Future? Our current grid system isn’t working well enough now for our current needs, and as time goes on we’re only going to get increasingly reliant on electricity for various reasons. It’s best to implement the conversion to Smart Grids now instead of waiting too long, especially since we need extra time to properly install and test these systems in a wide scale. In addition, the added benefit of well-handled outages will also get increasingly needed as time goes on. Many important aspects of our lives rely on electricity such as banking, hospitals, traffic lights, security, communications and more. When outages occur, our world suddenly gets more complicated can dangerous. Being able to resolve power outages sooner and isolated outages will decrease the risks associated with outages.